With days to go before South Africans go to the polls, one Cape Town community have proclaimed themselves “forgotten South Africans” who have been bypassed by the political establishment. Election posters have been pasted on poles all over Cape Town, but there is no indication that South Africa is going to the polls in parts of Frankdale informal settlement, home to about 1,000 people and scattered around the margins of the Vissershok landfill site north of Cape Town. Residents describe how they scavenge off the landfill site to survive and how young women prostitute themselves along a nearby national road. “We are the forgotten South Africans. They don’t care about us. 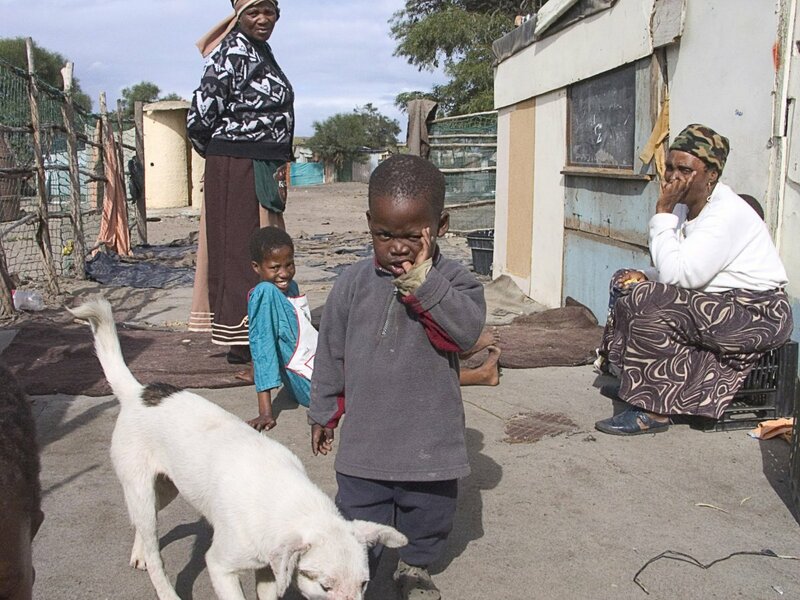 Nobody came here to register us or talk to us about elections,” said community leader Racheal Erasmus, who lives in a part of the settlement called Rooidakkies. Erasmus said there had been no registration drive in Rooidakkies. She said members of the community had travelled to Du Noon township, about 20 kilometres away, in an attempt to register there, but they had been turned away. She said they had been told by IEC officials in Du Noon and the adjacent Doornbach informal settlement that it was difficult to register them on the voters roll as they were not from Du Noon or Doornbach. But in another, larger, part of the settlement, which is situated behind a Medical Waste Incinerator that is part of the landfill site, IEC officials did go door to door to register voters. However, community leader Thozama Mankayi said many were unable to register as they did not have documentation. IEC Western Cape provincial electoral officer Reverend Courtney Sampson acknowledged there were communities where people were not registered to vote, even though the IEC had gone “out of its way” to register as many people as possible. “There are forgotten communities in our societies. All of us have to take collective responsibility for forgotten communities,” said Sampson.